The key is moderation - especially when it comes to quirky things like a disco ball! 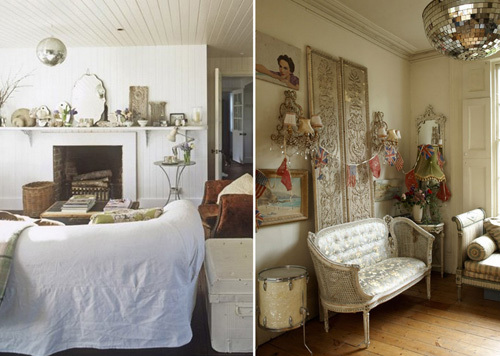 Plus I think your room needs to lean on the eclectic side in the first place, or perhaps be a bit flea market style, feminine, boho modern or scandi modern. 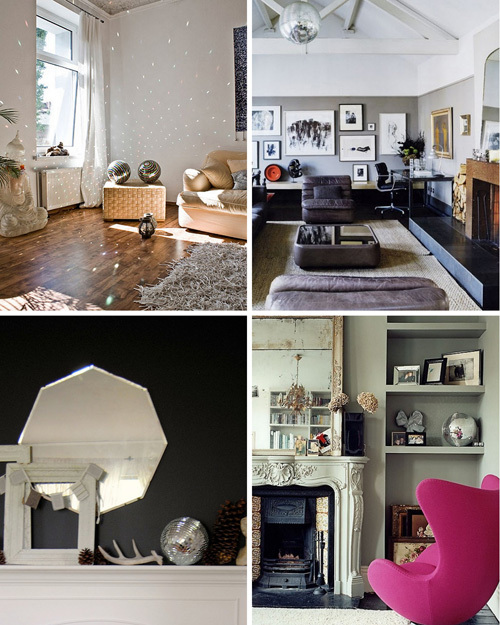 I don't see a disco ball working in a very contemporary home because it would be out of place and I can't see it in a country home with plaids and chintz or something extremely high end... unless you are Kelly Wearstler. I can see Kelly rockin' a disco ball like nobody's business. 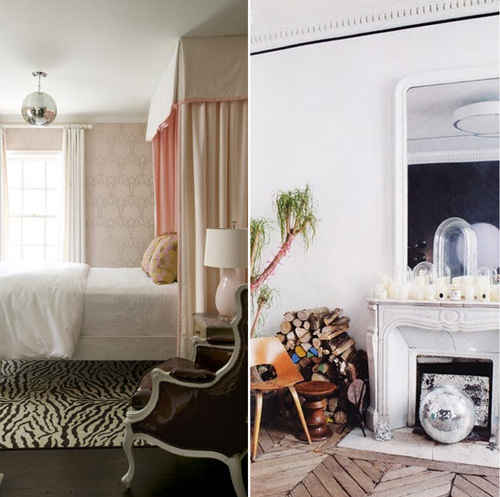 Images: At Home Arkansas,Morten Holtum,Polly Wreford for Atlanta Bartlett, Confetti Garden, Livingetc.